The front room of the headquarters of Think Positive Prints in Alexandria is relaxed and cosy, with a rack of fashion samples and a table spread with pastries – a calm zone before the busy pattern and fabric-printing workshop in the main warehouse space beyond. This is where the Gallery Shop’s new Making modernism scarves are being printed with styles featuring popular works by Margaret Preston and Grace Cossington Smith in conjunction with the exhibition O’Keeffe, Preston, Cossington Smith: making modernism . Respecting the vision of artists and designers is paramount for the shop and thus the company, and the evidence of this commitment is everywhere. Material with a bold graphic print waves in the breeze from floor fans. A clothesline is draped with delicate silks. Metres of cotton are being fed through a coating solution to help it absorb the printing ink. 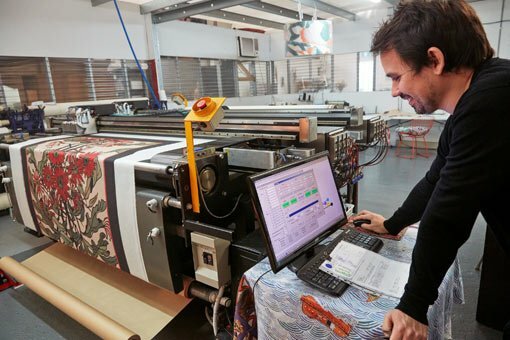 The Making modernism scarf designs are loaded onto the computer – reproductions of Grace Cossington Smith’s Arums growing c1927, and Margaret Preston’s Anemones 1925, Wheelflower c1929 and Implement blue 1927 – and the fabrics onto the giant printers. 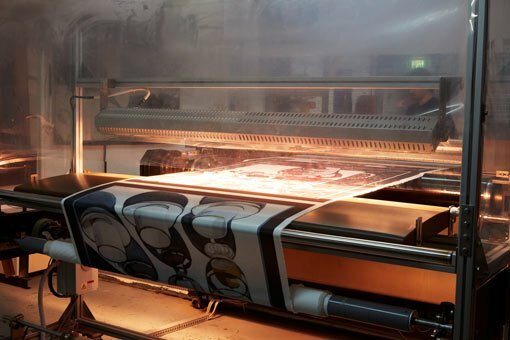 The print heads move smoothly across the silk crepe de chine and modal cashmere, and the images come to life in vivid sweeps. 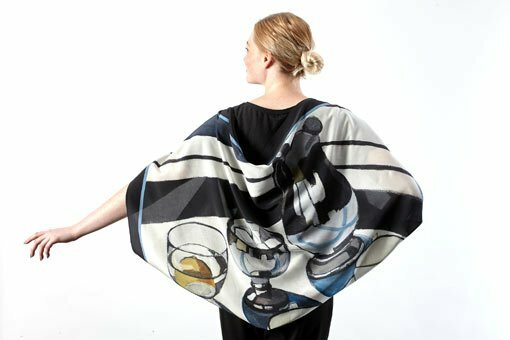 With this sort of attention to detail, it’s no wonder customers are buying the scarves to frame and put on their walls – just the kind of artisanship that would make our favourite modernists proud.